The tenth book in the Sword of Truth series from bestselling author Terry Goodkind. Fantasy adventure on a grand scale featuring the popular wizard-hero Richard Cypher. As her husband, Richard, desperately searches for his beloved, who only he remembers, he knows that if she doesn't soon discover who she really is, she will unwittingly become the instrument that will unleash annihilation. But Kahlan learns that if she ever were to unlock the truth of her lost identify, the evil itself would finally possess her, body and soul. If she is to survive in a murky world of deception and betrayal, where life is not cheap but fleeting, Kahlan must find out why she is such a central figure in the war-torn world swirling around her. What she uncovers are secrets darker than she could ever have imagined. 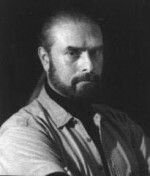 Terry Goodkind (born 1948) is a contemporary American writer and author of the best-selling epic fantasy series, The Sword of Truth, which according to his publisher TOR in an August 2006 press release has more than 10 million copies in print and has been translated into 20 different languages.